The SRMD is designed to provide a prominent display in critical environments. The SRMD takes inputs from critical sensors, and display the parameters in 1” illuminated LCD characters. The SRMD is designed to provide a prominent display in critical environments. The SRMD takes inputs from critical sensors, and display the parameters in 1” illuminated LCD characters. The SRMD is sensor agnostic and accepts 0-5VDC or 0-10VDC inputs. However, it is also available to order calibrated with Setra humidity/temperature sensors, ensuring that it is ready to install out of the box, providing quick installation. The SRMD is avilable in single or dual configuration with a white or nickey bezel, and the LCD characters are available in three colors; red, green, and blue. Highly Visible LCD Display - Real-time environmental monitoring is essential in critical spaces such as operating rooms, laboratories or medical manufacturing clean rooms. 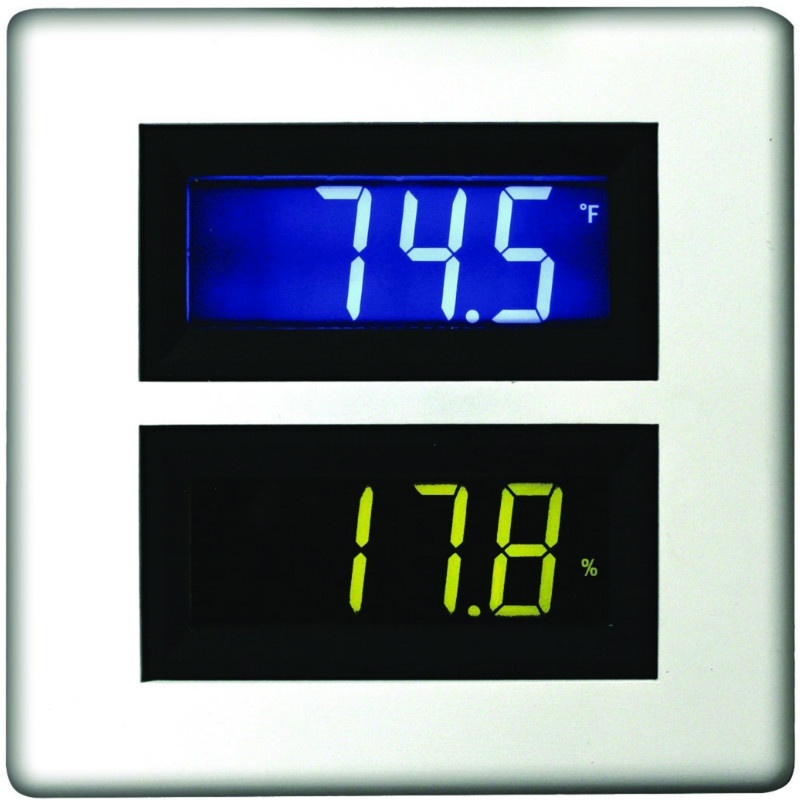 The SRMD is a display panel which takes sensor information and displays with 1” LCD characters. The SRMD is offered in either a single or dual display configuration with 3 color choices (red, green, blue) so that the end user can clearly see the critical parameters from up to 30’ away. Installation Without Customization - The SRMD is designed to make things easy for both the installer and the end user. The unit mounts in an off-the-shelf electrical box making the installation simple once the roughin phase of the job is complete. The SRMD accepts either a 0-5 or 0-10 VDC input, can be calibrated for any parameter, and is powered by either 24 volts DC or AC. Let Setra Perform the Calibration - The installer has enough to think about on the job site, so let Setra take some of the burden. When paired with Setra’s SRH relative humidity sensors, the SRMD comes pre-configured and ready for installation out of the box. This drastically reduces the installation time needed for the application.